When your walls are not addressed with interest, focal point or good placement of wall décor, you will definitely find that your room looks plain and boring. In order to make a room more pleasing and colorful, wall décor is very important. One of the wall decoration items that are used today is wall murals. Wall murals come in different colors, design and styles. If you need to add an inspiration and beautiful theme in your house, then you can install an ocean and mountain wall mural. 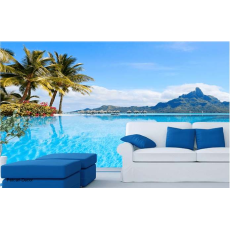 An ocean and mountain wall mural is the best choice for your living room and also dining room. A decorative wall mural will also enhance your house with warm and exotic feeling. Searching for a wall mural selling shop in Kenya? Petcarl Décor is a trustworthy shop that you can always visit. We sell high quality murals at prices that every customer can afford. Try us today!